More federal rail inspectors might have been able to spot - and stop - the crashing concrete that narrowly missed causing severe injuries when it fell on Clinton Street this past July. 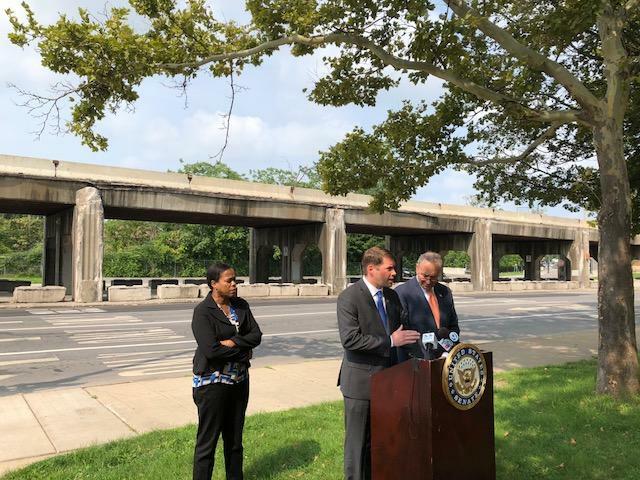 Senator Chuck Schumer in Syracuse today made a call for the Federal Railroad Administration to hire more inspectors. 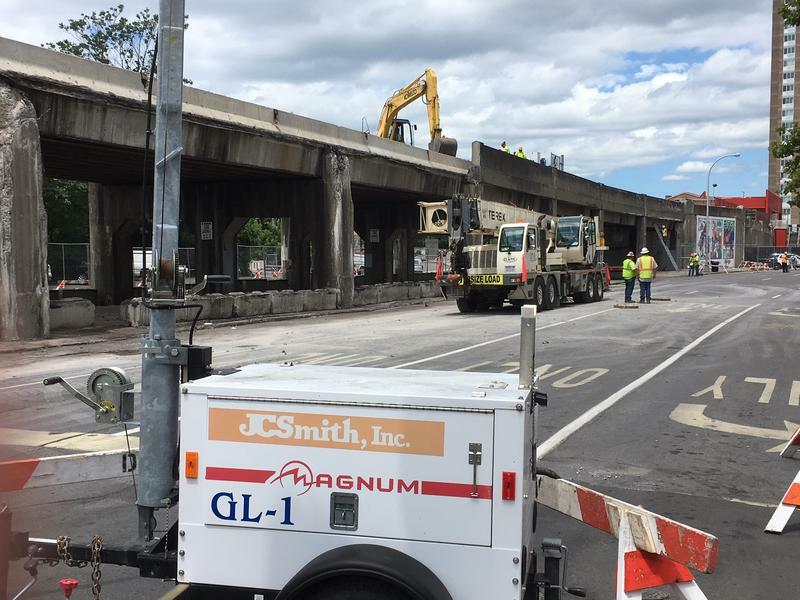 The city of Syracuse is looking for some answers after a portion of wall fell from the elevated train tracks downtown Thursday. Mayor Ben Walsh says for now, the debris has been cleaned up, but the portion of Clinton Street remains closed between Jefferson and West Onondaga streets. He explains jurisdiction for the rail lines and the viaduct rest with the Federal Rail Administration and the New York Susquehanna and Western Railroad. Walsh wants to know if anyone knew the bridge was dangerous … and he’s looking for some information. The snow is gone, hopefully for good, and that’s left behind the usual layer of litter in and around Syracuse. Mayor Ben Walsh announced an effort today that he hopes inspires residents to pick up trash not just now, but year round. 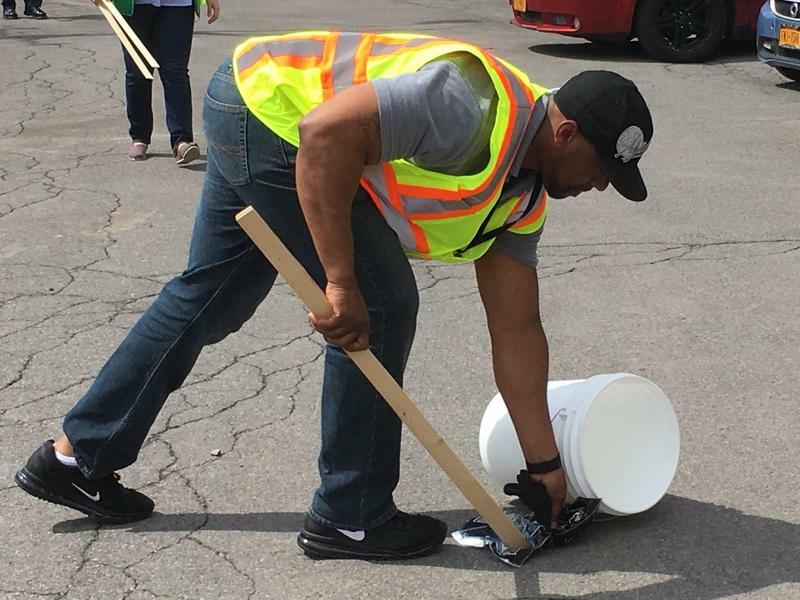 It’s called Clean-up ‘Cuse: Adopt a Block, where individuals, school groups, businesses, organizations and others can conduct monthly litter clean-ups in a two block area. Van Duyn Elementary Students have been getting some extra support with their subjects when seven special visitors show up daily. 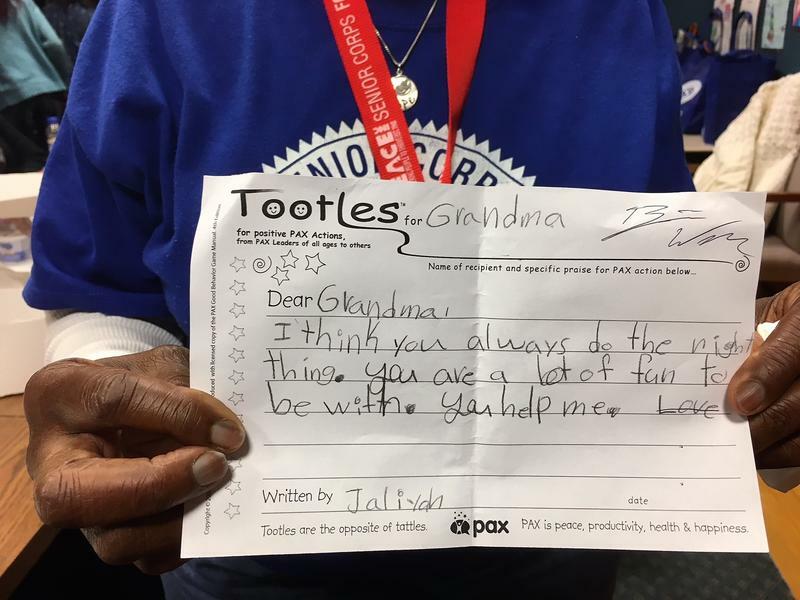 The Foster Grandparent Program provides an opportunity for youngsters to learn from their elders and to gain social skills. Grandparent Ellen Kace says she looks forward to seeing the kids at school every day. 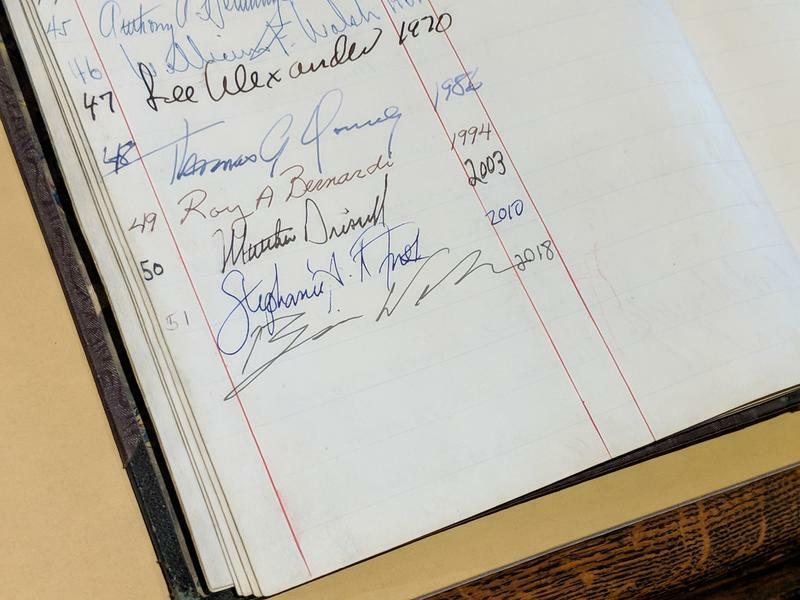 Mayor Ben Walsh put his mark on history this morning by signing his name in Syracuse’s Mayoral Autograph Book in the Onondaga Historical Association Museum. The signature marks the 52nd to be added since Syracuse’s first mayor, Harvey Baldwin, added his autograph in 1848. Walsh’s name also sits alongside his grandfather’s, William Walsh, who served as the 48th mayor of Syracuse from 1962 to 1969. 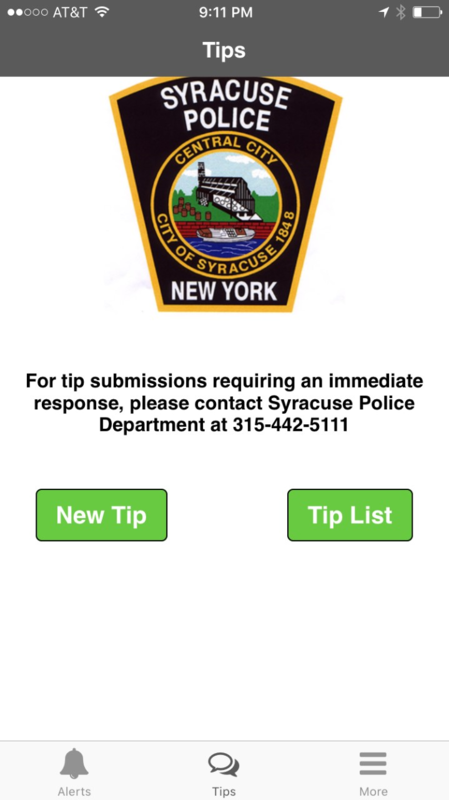 Can your smart phone make you safer in the City of Syracuse? Mayor Ben Walsh joined members of the Syracuse Police Department to roll out new technology to help reduce crime and improve community relations. You might have a phone app to find your way around or get a ride, maybe check the weather or play a game. Deputy Chief Joe Cecile wants you to get another app for community benefit.